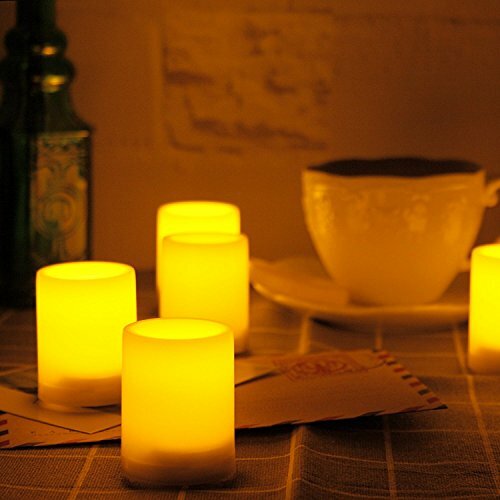 These battery operated votive candles look like, feel like and flicker like real wax candles. Flameless votive candles are widely used in many places and occasions, such as hotels, restaurants, bars, churches, living rooms, weddings, parties and the list goes on¡­. They are safe to use with and good for environment because there is no open fire and CO2 emissions. EASY TO USE WITH TIMER: Build in 4-hour on/20-hour off and 8-hour on/16-hour off dual timers. You can set one of these two timers. The candles turn on and off automatically every day.